Black Panther Gets Best Picture Oscar Nomination | Nerd Much? The King of Wakanda is looking to sit upon a new throne. The 2019 Academy Award nominations were announced this morning. And Ryan Coogler’s Black Panther sits amongst the elite as one of the film’s nominated for Best Picture. 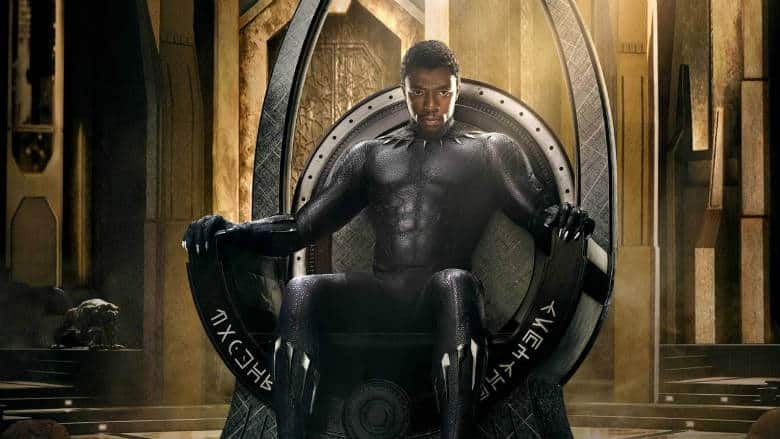 The Black Panther nomination marks the first time that a superhero or comic book movie has earned the prestigious designation. The film will be pitted against other contenders in BlacKkKlansman, Bohemian Rhapsody, The Favourite, Green Book, Roma, A Star Is Born, and Vice. Black Panther was already an incredible success both financially and critically for Disney and Marvel. Financially, it grossed over $1.3 billion for the studios, making it ninth highest grossing film of all time, and one of five Marvel Cinematic Universe film’s to cross the billion mark. Critically, it was revered for its reverence of African culture. And as an overall movie, it scored a 97% fresh rating on Rotten Tomatoes with a average rating of 8.2 out of 10. As for nominees in other categories, Best Director has shown the spotlight on Alfonso Cuaron (Roma), Yorgos Lanthimos (The Favourite), Spike Lee (BlacKkKlansman), Adam McKay (Vice) and Pawel Pawlikowski (Cold War). Best Actress nominees are Yalitza Aparicio (Roma), Glenn Close (The Wife), Olivia Colman (The Favourite), Lady Gaga (A Star Is Born) and Melissa McCarthy (Can You Ever Forgive Me?). With Best Actor nods going to Christian Bale (Vice), Bradley Cooper (A Star Is Born), Willem Dafoe (At Eternity’s Gate), Rami Malek (Bohemian Rhapsody) and Viggo Mortensen (Green Book). For Best Supporting Actress, the Oscar comes down to Amy Adams (Vice), Marina de Tavira (Roma), Regina King (If Beale Street Could Talk), Emma Stone (The Favourite) and Rachel Weisz (The Favourite). And Best Supporting Actor will go either Mahershala Ali (Green Book), Adam Driver (BlacKkKlansman), Sam Elliott (A Star Is Born), Richard E. Grant (Can You Ever Forgive Me?) or Sam Rockwell (Vice). The 91st annual Academy Awards will air live from the Dolby Theatre at Hollywood & Highland Center in Hollywood, California on Sunday, February 24th on ABC. There has still yet to be a formal host for the event to be announced.